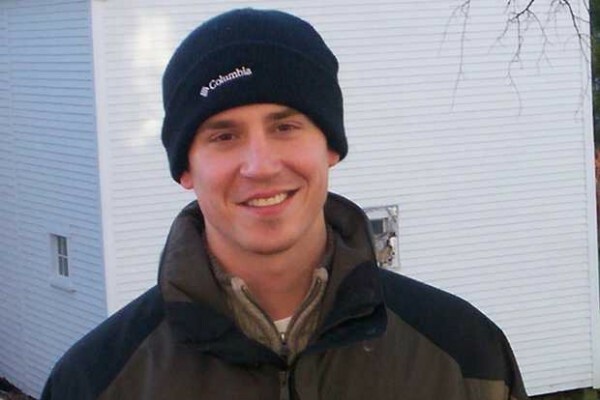 FARMINGTON, Maine — The family of a man shot to death by a policeman Saturday morning said he was an Army Ranger suffering from severe combat stress from a major battle in Afghanistan about six years ago. Farmington Police Chief Jack Peck said Justin Crowley-Smilek, 28, of Farmington initially sought help from an officer inside the police station off Route 2. When an officer came outside the police station to assist him, Peck said Crowley-Smilek pulled a large knife from his pocket, raised it and moved aggressively toward the officer, who shot and killed him. Michael Smilek said he thinks his son Justin was trying to get help by acting homicidal toward the officer. So, too, did Justin’s mother, Ruth Crowley of Portland, Ore. They said their son was bipolar and suffered from delusions because he was not taking his medication. “He needed help and we couldn’t get him into a hospital, because you can’t [involuntarily commit an adult] unless they’re suicidal or homicidal,” Crowley said. Peck said Crowley-Smilek was killed instantly at 11 a.m. in the municipal building parking lot. An autopsy is scheduled for Monday, Brenda Kielty, spokeswoman for Attorney General William Schneider, said early Saturday evening. Peck declined to name the officer involved in the shooting, but Kielty said the officer was Ryan Rosie. Peck said that as a matter of policy, the officer will be on administrative leave pending the investigation. “Physically, he’s OK, but emotionally, he’s shaken,” Peck said of Rosie. Peck said police believe Crowley-Smilek walked to the police station. He used a phone outside the building that rings into the Franklin County Sheriff’s Department dispatching station. “He called in, requesting to see an officer,” Peck said. Rosie, one of two on duty inside the station, went outside to assist him. A short conversation ensued, during which Crowley-Smilek had his hands in his pockets, the chief said. Peck said the officer had no clue when he walked out the door what he was walking into and, as a result, there wasn’t any call for backup. “It all happened in a matter of seconds, really,” Peck said. He said he didn’t know how many shots were fired, but eyewitness Leon Heckbert, who was working at his garage, Pro Service, across the street, said he heard four gunshots. “I heard a ‘pow,’ and then three quick shots right after that,” Heckbert said. Peck said the shooting was being investigated by the Maine Attorney General’s Office, Maine State Police, the local District Attorney’s Office and the medical examiner’s office. Police did not know what provoked the attack, Peck said. “We do know that he has had mental health issues in the past, but obviously, it is under investigation,” the chief said. Justin’s father and stepmother, Lorna Smilek of Farmington, and his mother, Ruth Crowley, all said Saturday evening that Justin was suffering from severe combat stress. They said he served his country five or six years ago as an Army Ranger doing special operations in Afghanistan. “He suffered [post-traumatic stress disorder] 100 percent due to being in a major battle,” Lorna Smilek said of Justin, who was a mortar man. “Firing mortars will shake your head up tremendously,” said Michael Smilek, who also served in the military. Additionally, the Smileks said Justin fell 35 feet out of a helicopter while in Afghanistan and injured his back and head. As a result of the PTSD, Justin was diagnosed with bipolar disorder, his father said. Before Justin followed in his father’s and grandfather’s military service footsteps and joined the Army to become a Ranger, “he was a very sensitive, sweet person,” Michael Smilek said. “He was really sweet and funny and he had a wonderful sense of humor,” Lorna Smilek said. However, Michael Smilek said his son joined to serve his country and to get an education. His goal was to become a police officer after discharge, Crowley said. “When he came back from Afghanistan, he began to unravel,” Crowley said. Michael Smilek said they managed to get Justin a service dog, Ranger, a German shepherd that Justin loved dearly. He also began going to the Veterans Administration Clinic at Togus. “I forgive the officer involved and I’m praying for him, because he’s probably in a lot of pain,” Michael Smilek said. However, both he and Crowley said they don’t believe deadly force should have been used. Michael Smilek said his son had been off his medication and was delusional. He said the VA’s office refused to provide him with medication when they learned he was taking medicinal marijuana for his back pain. “Because medicinal marijuana is illegal, the VA said they couldn’t treat him anymore,” Michael Smilek said. Crowley-Smilek, who was free on bail from an assault charge in February, went before a judge in Farmington on Friday, Michael Smilek said. He was accused of beating a man over the head with a flashlight in a parking lot in Farmington and cultivating marijuana, he said. The judge ordered what the family had been fighting for for so many years: a full psychological evaluation.